Tottenham Hotspur Football Club, an English professional football club playing in the English Premier League was founded in 1882. 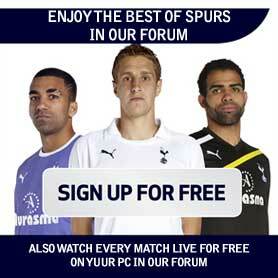 The club which is frequently known as Spurs plays at White Hart Lane. When the club was formed in 1882, it was initially named Hotspur FC after the then Duke of Northumberland, called Harry Hotspur. By the year 1884, the club was renamed and thus it got its new name Tottenham Hotspur Football and Athletic Club. After 2 years of practice the club’s team finally played their first match in opposition to St. Albans in the London Association Cup, and marked a memorable 5-2 victory. The first few years were real trying days for the team. In 1887, Hotspurs had their first official match with the Royal team (now Arsenal). The Royal team had won the match by 2-1. The Spurs had a very interesting and challenging year in 1898. The same year, the club got transformed into a Private Limited Company. In the year 1899, they moved to their location from Tottenham Marshes to White Hart Lane. The Stadium had a capacity of 35,000 and was often called the “Gilpin Park”, but over the years it started getting popularity as the White Hart Lane. Tottenham got an inclusion in the Second Division of the Football League during the 1908-09 seasons. The teams overall record between 1910-1911 was below average and by the end of the 1914-15 season, the club was at the bottom of the league. In 1919, football was resumed after the end of the First World War and the First Division was expanded from 20 to 22 teams. In 1919-20, Tottenham became the Division Two Champions and on April 23, 1921, they won their second FA Cup Final by 1-0 against Wolves at Stamford Bridge. In 1936, Nicholson had joined Tottenham Hotspur as a trialist and after being appointed manager in 1958, he guided the team to win major trophies like the FA Cup, European Cup Semi-final (1962) and the European Cup Winners’ Cup (1963). Before his resignation, Nicholson helped the team to win the League Cup and the UEFA Cup in 1971 and 1973 respectively. Terry Venables, a former Spurs player guided the club to a semi final in 1989-90 and the win in 1991. During the 1994 season, Tottenham was blamed for making unauthorized payments to players and was given a 12 points deduction, a £600,000 fine and a one year FA Cup ban. However under the leadership of Gerry Francis, the team bounced back and climbed to seventh position in the league. They also successively reached the FA Cup semi-finals. The season 2001-02 saw them reach the ninth position and took them to the League Cup finals. The year from 2002-03 began well with Tottenham appearing in the top six, but as they could make only seven points in the final 10 games, they finished in the tenth position.